A magical classic with a squeaky twist! We all love a classic story. But here comes something even better: a classic story with a sprinkling of Stilton! Welcome to the magical land of Oz. On the Yellow Brick Road, four strange creatures are going to the Emerald City to see the Wizard of Oz. 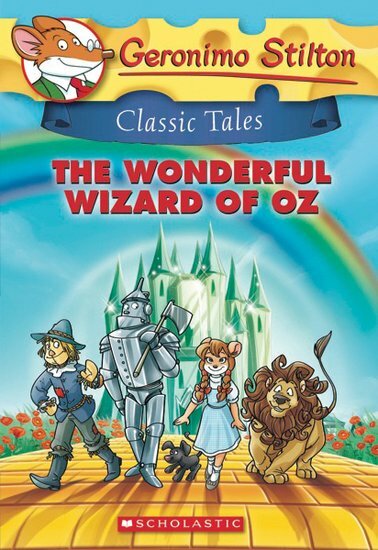 There’s a cowardly lion, a tin man and a talking scarecrow: all part of the story you know and love. But hang on – what’s that pretty little mouse doing there? Enjoy one of the world’s favourite classics – mouse style!